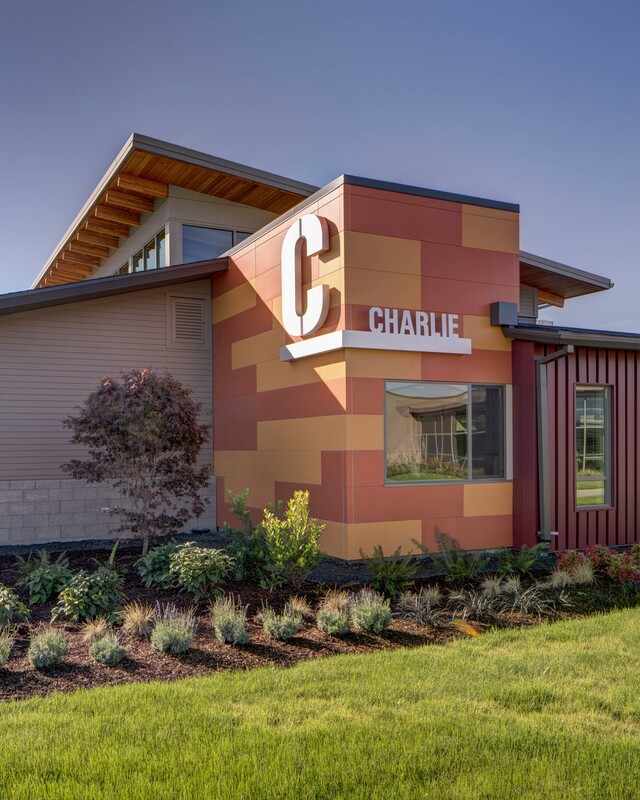 The Oregon Department of Veterans’ Affairs (“ODVA”) chose DAY CPM to provide Project Management Services for the new Veterans Home in Lebanon, Oregon. DAY CPM worked with the architect, contractor and other vendors to oversee all facets of the construction processes to meet ODVA objectives. The 154-bed facility named the “Edward C. Allworth Veterans’ Home, The Place Where Honor Lives,” was designed utilizing the small house model for skilled nursing facilities. The small house model serves as a place where residents can receive assistance and support with activities of daily living and clinical care, without the care and assistance as the focus of their existence. Care is an earned benefit available to honorably discharged veterans, their spouses, and parents whose child lost their life while serving in the U.S. Armed Forces. Residents receive care by a nursing staff selected with skills and understanding to meet the special needs of veterans and their family members. The dedication was held on September 20th, 2014, Principals Mike Day and Joshua Dodson were presented with commemorative dog tags in support of Veterans. DAY CPM is extremely proud and honored to have been a part of this Oregon Veterans’ Home in Lebanon * The Place Where Honor Lives.